Efficiency and spending time on social networks may sound like two contradictory terms, but Facebook actually wants companies to believe its latest offering will be able to achieve this. 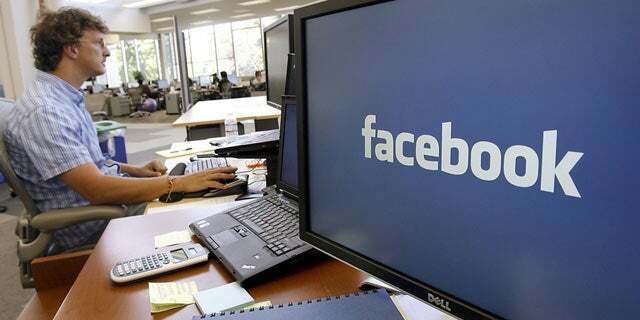 Facebook at Work is the latest effort of the social network leader to completely dominate your time online. The product is quite similar to the original Facebook, which was initially meant for a limited audience of university students-here, the target audience is employees of a company. This new version of Facebook will allow businesses to create their own social networks among employees. This is not a novel concept overall as there are products like Microsoft’s Yammer, Slack, and SocialCast which are competing for the biggest chunk of “enterprise social networking”, and now we have the big daddy of social networking coming up with its own version to heat up the competition. Google already made its efforts in this direction with Google Wave, although the project met little success. The project was headed by Lars Rasmussen, the engineering director at Facebook who is heading Facebook at Work: sweet irony. Facebook says it’s been using Facebook at Work internally for years, and if we were to believe Lars Rasmussen, “using Facebook as a work tool makes the work day more efficient”. Efficient or not, Facebook’s popularity is surely going to give the product some leverage in terms of adoption rate as a lot of efforts in workplaces to get employees collaborate with each other is hampered owing to lack of will to learn the new piece of software. Besides, most enterprise social networks have tried to mimic a consumer-friendly appearance to encourage usage. In that sense, Facebook has a clear edge as its product bears close resemblance to the original Facebook that more than 1 billion people already use. How Enterprise Social Networking Impacts businesses? The term enterprise social have been used now and then in the past decade referring to social collaboration and communication tools specifically designed for workplaces. Back in 2012, Deloitte predicted that more than 90 percent of Fortune 500 companies would have either partially implemented or fully implemented ESN. Facebook at Work is just another significant addition to the growing family of enterprise social products. There are many Fortune 1000 companies which are already using similar tools to fuel professional collaboration among their employees. Nationwide Insurance’s enterprise collaboration leader Chris Plescia, explains in this detailed article on CITEworld, how switching to Microsoft’s Yammer helped them create a collaborative environment that caught the imagination of the employees, who till then were too tired of the existing in-house applications as they were quite hard to use. The customized version was named as Spot and as Plescia says, “employees use it more and more since it was created and first launched in December 2012.” Spot is wildly popular now as it is used by more than 30,000 workers daily. It also saved Nationwide a lot of money as prior to Spot the company was spending near about $3million annually on all sorts of social collaboration tools. After implementing Spot, the cost was brought down to $1.5 million annually. One of the biggest benefactors of an ESN in any organization is its recruitment department. HR heads can leverage ESN in a number of ways. Broadcasting internal communications, gathering employee feedback, spotting the performing assets and promoting an open work culture are some of the broad benefits that recruitment managers can leverage from the ESNs. What makes a good ESN or Enterprise Social Network? Enterprise social has been around for a while now. We are yet to see an ESN that is true success as most of them have failed to realize the expectations about how they should contribute to an organization. Some of the elements that make a good enterprise social network include document sharing capabilities, corporate directory synchronization and external product integration. The importance of corporate directory synchronization is huge as it puts enterprise networks in a different mold altogether. With CDS, the members of the network are brought under the existing organizational hierarchy and imparts them a better understanding of their roles. With an integrated search function, like that Yammer has, it also becomes easy to search for subject matter experts. In addition, the enterprise collaboration apps that have robust third-party app integration are generally ranked higher than their counterparts. An industry analysis by International Data Corporation, IDC MarketScape: Worldwide Enterprise Social Networks 2014 Vendor Analysis” emphasizes on the changes in the ESN market where instead of standalone solutions, the focus is on embedding social workflow across enterprise systems. Promising Future: International Data Corp.’s “Worldwide Enterprise Social Software 2013-17 Forecast,” reveals the worldwide enterprise social software applications market’s revenue is valued to grow to $2.7 billion by 2017. This report also subtly hints at the growing requirement of a brand new breed of professionals who are apt at utilizing the ESN’s power for the benefit of organization. Thus, the enterprise job market is going to witness growth and new age professionals who are looking for challenges beyond what a corporate job offers should be the one watching this space.